Something to Be Thankful For: The Best Cranberry Sauce You’ve Ever Had – Pao Says, "Open Wide!" One of my “Florida Tias”- my Aunt Brenda, makes a killer cranberry sauce that has become a staple in our Thanksgiving spread. If you’re looking for something memorable to bring to the table, I’d suggest giving this sauce a shot! In a big, heavy pot, combine all ingredients. Stir on medium heat until sugar dissolves. Increase the heat to medium-high and cover the pot. Let the sauce boil, stirring occasionally, until the cranberries pop up (about 8 minutes or so). 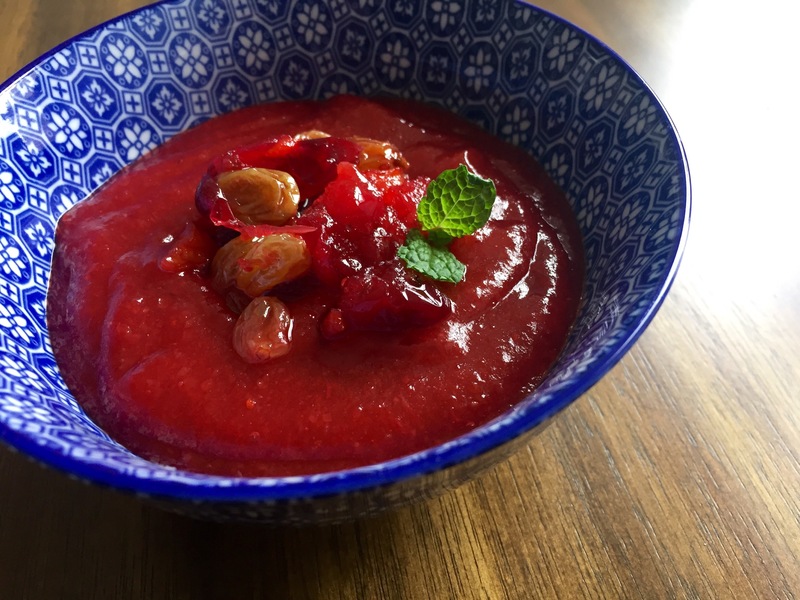 Technically, you can serve the sauce as is, but we like to run it through the blender to create a jammy applesauce-like consistency. Good luck trying to resist straight up eating this with a spoon. 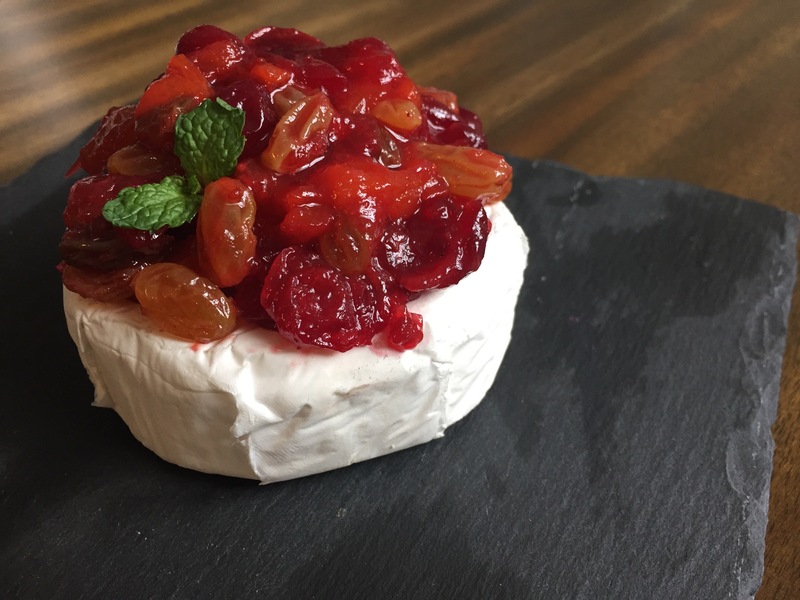 Reserve some of the cranberry fruit compote and place it on top of some Brie for a beautiful and tasty appetizer. You can also wrap the Brie and cranberry sauce in puff pastry and Bake it at 425 for 20 minutes for a festive baked Brie.